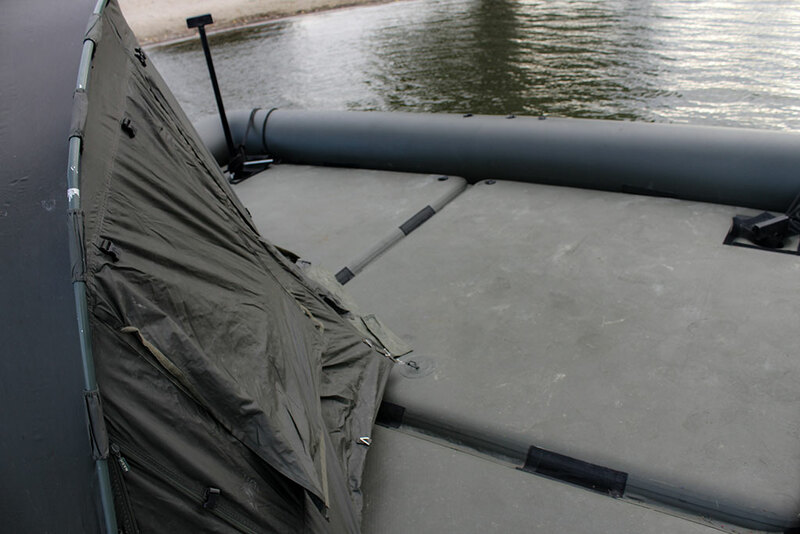 The Raptor Platform XL Fishing Boat is where I imagine Chris Farley would reside if he moved from his van down by onto a raft down on the river. 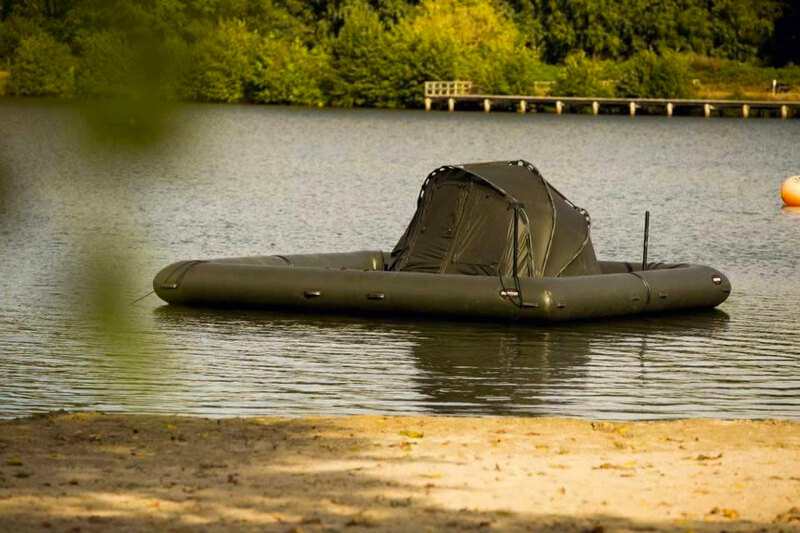 The inflatable floatable is certainly a sight to behold, and maybe in a good way if you're looking to streamline your camping and fishing trips with the ultimate tent-boat mashup. 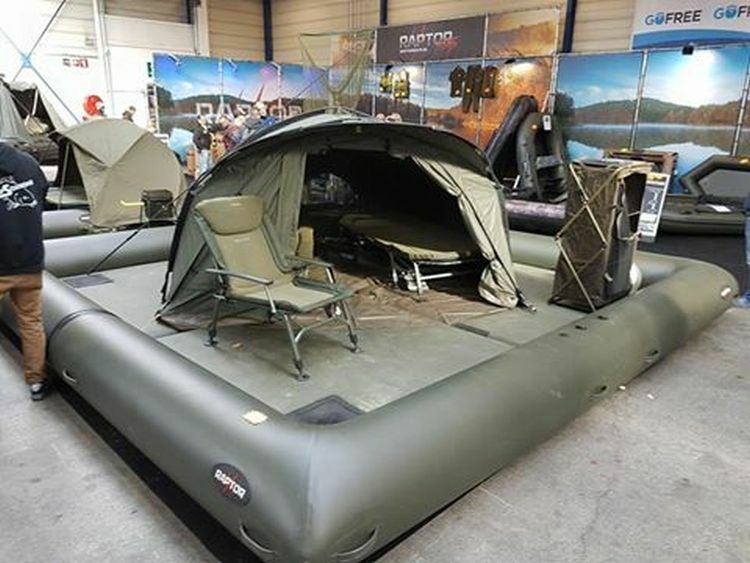 Raptor designed the XL version of its Platform Fishing Boat to house your tent of choice. 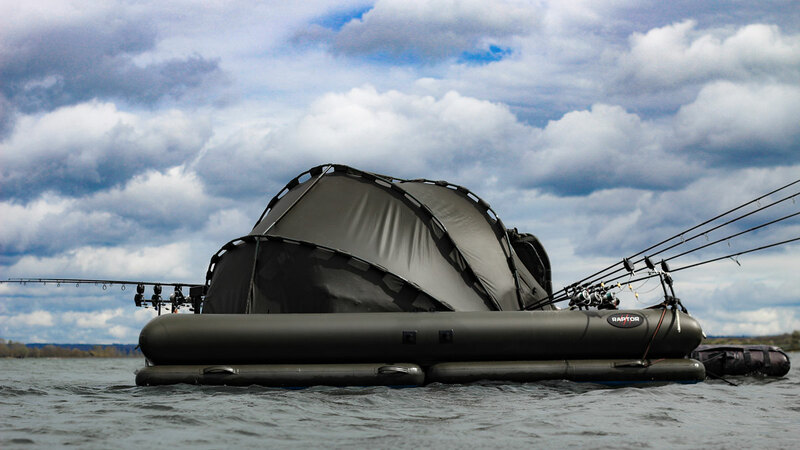 The 4-piece airdeck has 15 d-rings installed for mounting a larger 2-person shelter, and with a total interior deck size of 13' x 13', you'll still have room for a coupla lounge chairs, a cooler, and whatever you're able to catch for dinner. Each of the Platform XL's airdecks measures around 6-1/2' x 6-1/2', and is just under 8" thick. The surrounding 19-1/2" diameter tube contains 4 air chambers and 2 overpressure valves; it's also lined with handgrips for support. Raptor includes a repair kit filled with glue, a valve key, valves, pressure valves, and PVC patches in case you (begrudgingly) invite a novice fisherman on board, and his reckless casts end up popping your boat.